Established in October 2016, Fashion And Business Resource Innovation Center (F.A.B.R.I.C.) is a 23,000 square foot, 3 story building in Tempe, Arizona that acts as a headquarters for the AZ fashion industry. F.A.B.R.I.C. is made possible by a partnership between the City of Tempe, a non-profit called AZ Apparel Foundation, an apparel manufacturer called AZ Fashion Source and a fashion industry directory and consulting firm called LabelHorde as well as many other tenants and co-licensees who provide fashion business support services. As a trade for use of the F.A.B.R.I.C. building, AZ APPAREL FOUNDATION “gives back” to the community in the form of programs, services and resources that equal the value of the building. LABELHORDE AND ARIZONA FASHION SOURCE provide the expertise, resources, equipment, capital improvements, utilities, maintenance and support funding to the foundation. This unique model enables an emerging fashion brand to find everything they need under one roof to learn, start, grow and stay in Arizona. Inside F.A.B.R.I.C. you will find apparel manufacturing, classes, consulting and design services, sourcing library, fabric store, photo and production studio, co-working offices, maker’s sewing studio, event/runway space, classrooms, hair/makeup rooms, industrial equipment, industry experts, and more. Established in 2001, LabelHorde is a category-driven DIRECTORY of fashion businesses enabling users to easily locate local emerging and established designers, boutiques, manufacturers, photographers, models, stylists, industry supplies, fashion schools and all things fashion related in Arizona. LabelHorde.com also features a FASHION CLASSIFIEDS page for local fashion jobs, a FASHION CALENDAR that lists all local and important national fashion events. LabelHorde offers fashion EDUCATION in the form of lessons, classes and consultations, tech pack services, and design studio resources at F.A.B.R.I.C. that designers need to start and run their businesses. LabelHorde’s signature event is the annual LabelHorde Fashion Show featuring 60+ local designers/brands on one runway. 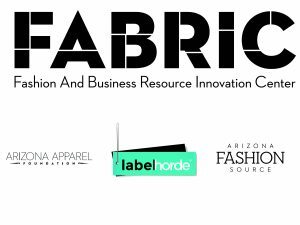 Established in April 2016, AZ Fashion Source is the apparel manufacturer in F.A.B.R.I.C. that uses sustainable and state-of-the-art manufacturing processes to create samples and production runs with NO MINIMUMS. AFS manufactures heavy- and light-weight knits and wovens on industrial sewing equipment and the latest CAD programs. This enables emerging designers/brands to take a more conservative step into manufacturing. AFS also provides the scraps that are created from the cutting process to local designers to remake into new garments through a zero-waste initiative called reFABRICate. Angela Johnson is an award winning, eco-friendly clothing designer and champion for the Arizona fashion industry. She is best known for creating tailored ball gowns and other keepsake garments from “thrifted” and recycled T- shirts under Angela Johnson Design and for being the co-founder of AZ’s fashion incubator F.A.B.R.IC. Angela is also founder of Arizona’s fashion industry directory LabelHorde and Co-Founder of the Board of the AZ Apparel Foundation. Angela got her start in L.A. working in design and production for X-Large Manufacturing, the line owned by Mike Diamond of the Beastie Boys and X-Girl, the line owned by Kim Gordon of Sonic Youth. In the mid 1990’s she co-owned Monkeywench, a board sports inspired collection with actress Christie Clark. She has been awarded Fashion Group International of Arizona’s Rising Star in 2004, Artist of the Year by the Scottsdale Cultural Council’s Chairman’s Committee in 2005, Best Local Fashion Designer by Arizona Foothills 2010-Present, Chicest Local Designer by 944 Magazine in 2007, Downtown Tempe’s Business Community Impact Award for F.A.B.R.I.C. in 2017, Phoenix Business Journal’s Outstanding Women in Business, and the Fashion Philanthropist award by The Garment League in 2018. 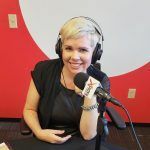 Angela has taught fashion classes at ASU, MCC, Collins College, AiPX, NSAA and LabelHorde and is also a fashion business consultant to hundreds of Arizona designers and students. She has been featured in countless books, magazines and television/internet programs. She was also the Regional Director of the non-profit Fashion Group International of Arizona for 2014-2017. Sherri Barry is a fashion design entrepreneur. 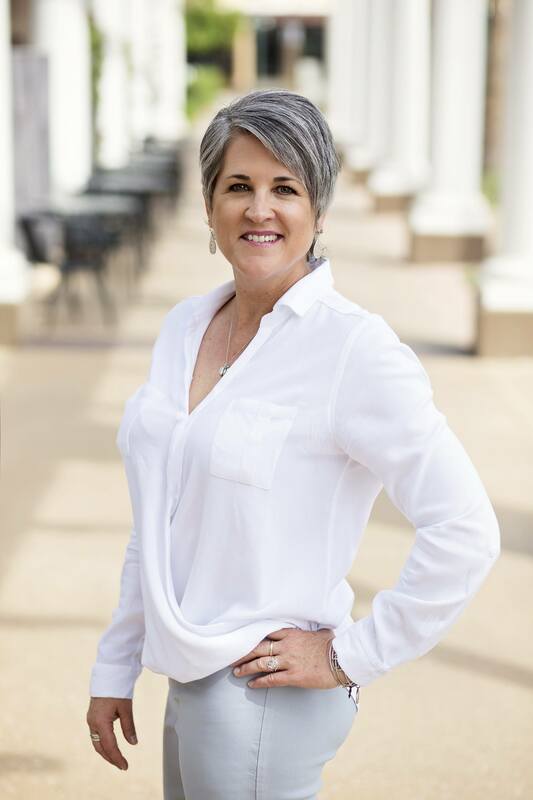 She started her career at Brown Shoe Company, where she quickly moved up the ranks to become Vice President of Operations, opening over 300 retail locations across the country. 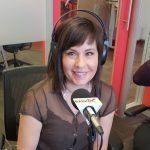 Sherri left the corporate world in pursuit of becoming an entrepreneur. She then earned a Master of Business Administration from the W.P. Carey School of Business at Arizona State University. Shortly after getting her Masters Degree, Sherri started an apparel company. The struggles of manufacturing in California ignited her passion for creating a reliable local resource for emerging designers. 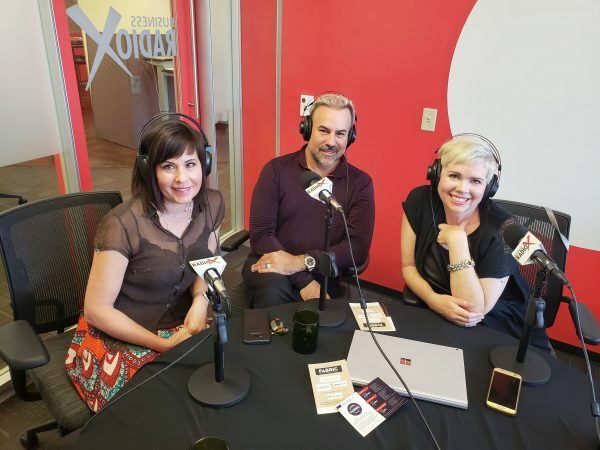 In 2016, Sherri founded “Arizona Fashion Source,” a small-batch apparel manufacturer, and “Events at F.A.B.R.I.C,” a fashion venue hosting a wide variety of corporate and private events. She also co-founded F.A.B.R.I.C, a full-service fashion incubator, and Arizona Apparel Foundation, a 501(c)(3) non-profit supporting emerging designers. Follow F.A.B.R.I.C on Facebook, Twitter and Instagram. Established in April 2016, AZ Apparel Foundation is a non-profit 501(c)(3) with the mission to provide Arizona’s emerging designers and brands with innovative, small batch manufacturing and strategic business resources, so they can build sustainable fashion businesses locally. With the help of over 400 fashion community volunteers and a prestigious board of directors, AAF provides emerging designer SCHOLARSHIP OFFICES, FREE CLASSES, FREE EVENTS, VOCATIONAL TRAINING for disadvantaged workers and many fashion related programs and services to the community. AAF’S signature events include AZ ECO FASHION WEEK, the anniversary fundraiser and will soon include AZ Fashion Tech Week. 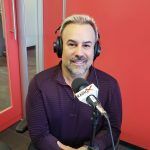 Thom Brodeur-Kazanjian is a fashion and beauty industry expert and founder and CEO of Brodeur Kazanjian Beauty & Fashion – a firm that brings beauty and apparel brands to market. Most recently Brodeur-Kazanjian served as the CEO of Yandy.com – one of the leading online lingerie and specialty apparel retailers in North America. 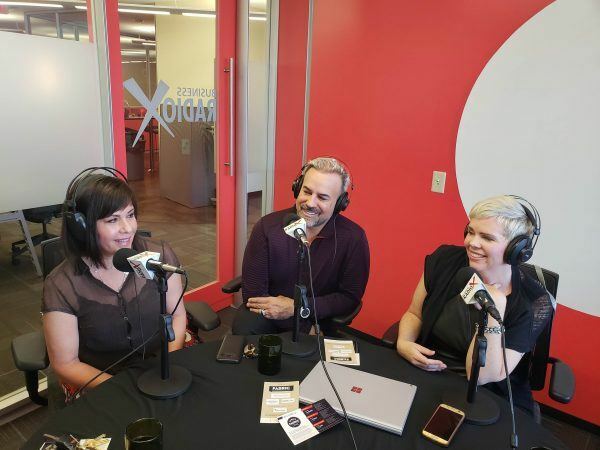 While at Yandy he led efforts to brand the company, expand its customer base, and drive growth in its core lingerie and costume businesses while accelerating growth in its emerging swimwear and every day intimates’ categories. Prior to joining Yandy, Brodeur was the President & COO of Maria Shireen – a functional fashion accessories company, and inventor of the patented hair tie bracelet. There, Brodeur-Kazanjian partnered with company founders to drive omnichannel expansion, sub brand and patent portfolio development globally resulting in triple digit topline growth and profitability. 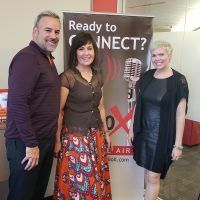 Notably, Brodeur-Kazanjian has served in executive leadership and advisory roles to technology, digital marketing and media companies including The Miss Universe Organization, GoDaddy, EmpowHER, Digital Air Strike and others. Brodeur-Kazanjian holds bachelor’s degrees in political science and economics from Youngstown State University and an Executive MBA alumni from the renowned Thunderbird School of Global Management. A community leader and philanthropist, Thom has served on the Boards of Directors for LGBTQ youth development organization one·n·ten, the Southwest Center for HIV/AIDS and Make-A-Wish® Arizona. Currently, Thom lives in Scottsdale Arizona with his husband Tavit, son Dante and four vertically challenged dachshunds – Google, Giggle, Apollo and Atlas. Connect with Thom on LinkedIn, Facebook and Instagram.